Grammy Award-winning Nigerian drummer who has contributed his talents to many artists' work since 1960 and released his debut album in the late 1950s. 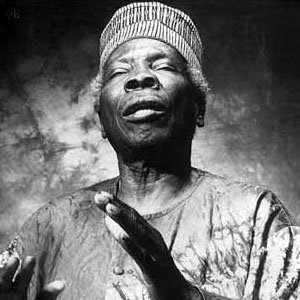 He became involved with traditional Nigerian music at an early age and moved to the United States in 1950 to attend Morehouse College in Atlanta, Georgia. He worked in film and theatre when he composed music for the Broadway and film productions of Raisin in the Sun. He was born in a village in Ajido, Lagos State, Nigeria and was of the Yoruba people. He performed in the Amandla Festival on July 21, 1979 and appeared onstage with many musicians, including Bob Marley.